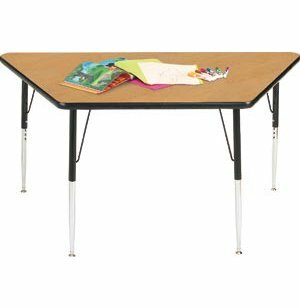 Group Study Adjustable Trapezoid Activity Table 60x30"
Adjustable-height activity tables are a great option for schools with students of many ages. 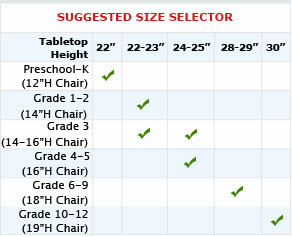 These trapezoid-shaped group study tables adjust to fit students from preschool all the way through elementary school. 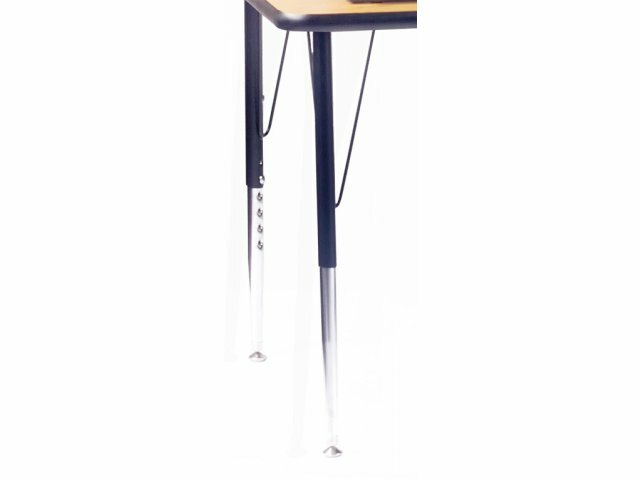 Trapezoidal Group Study Tables are well-built and very functional in the classroom. 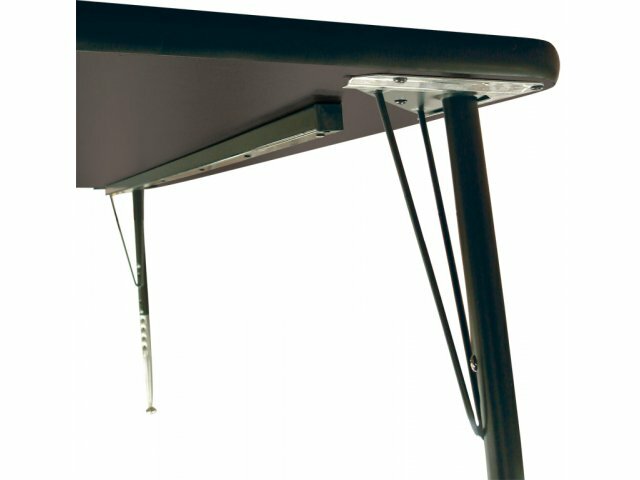 These durable activity tables contain self-leveling glides that ensure wobble-free stability. 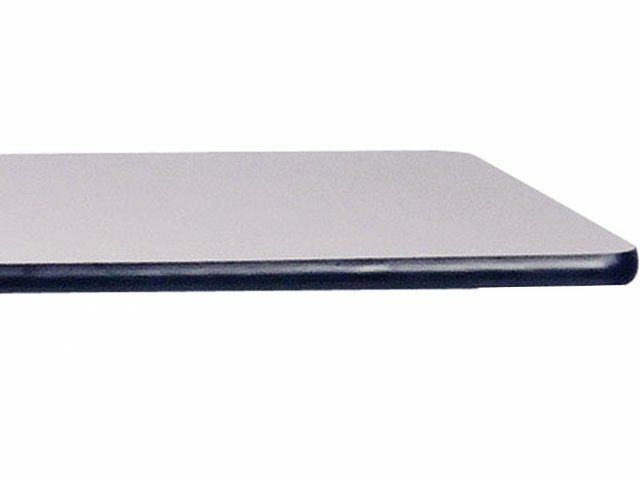 High pressure laminate tabletops resist nicks, dents and scratches. 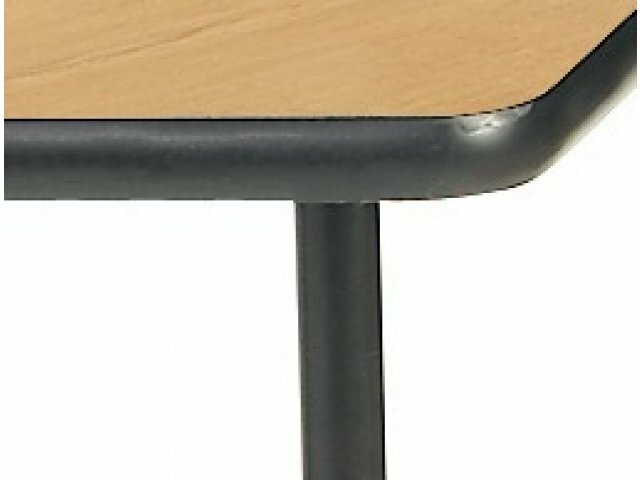 The surfaces of these activity tables wipe clean easily, and retain their fine finish, year after year. 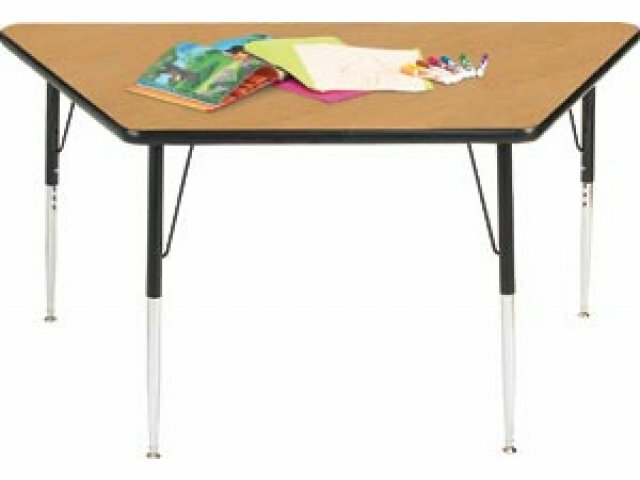 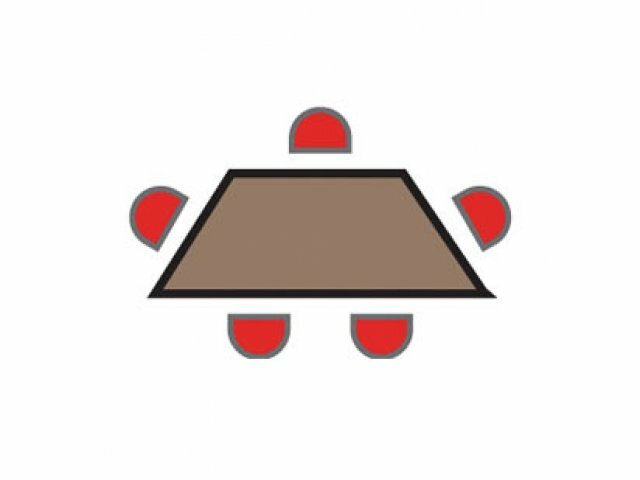 The trapezoid shape of the tabletop allows for guided group work by having a teacher sit on the short side and students opposite her. 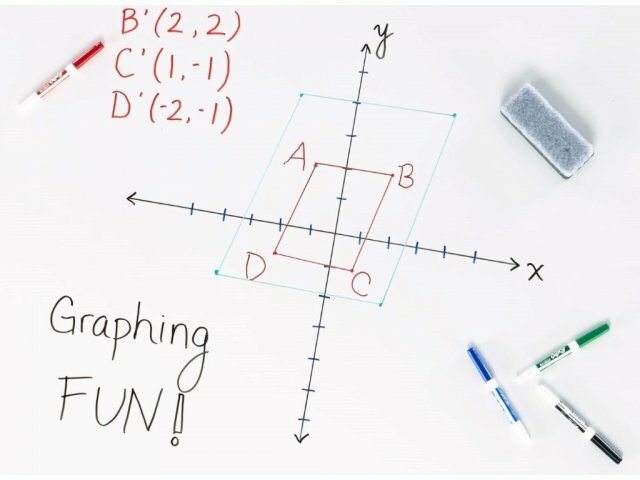 The tables can also be put together to form a variety of configurations for all different classroom activities and functions. 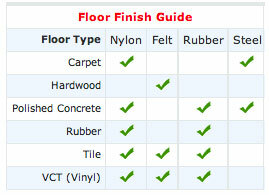 Warp Resistant: Bonded laminate backing sheet to resist warping. 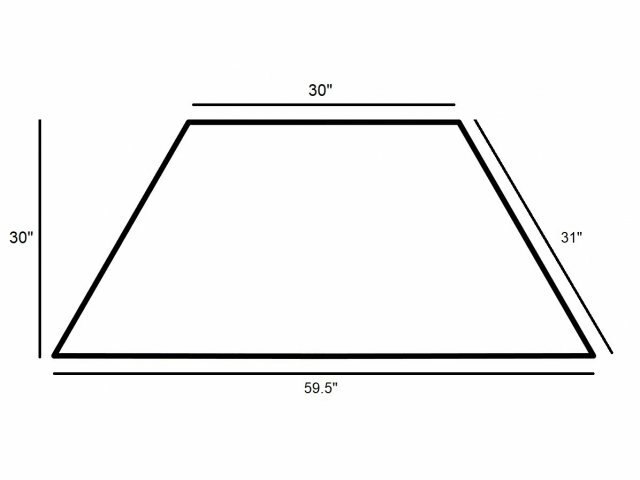 Strong: Tough bull-nose vinyl "T" edging adds safety and prevents chipping. 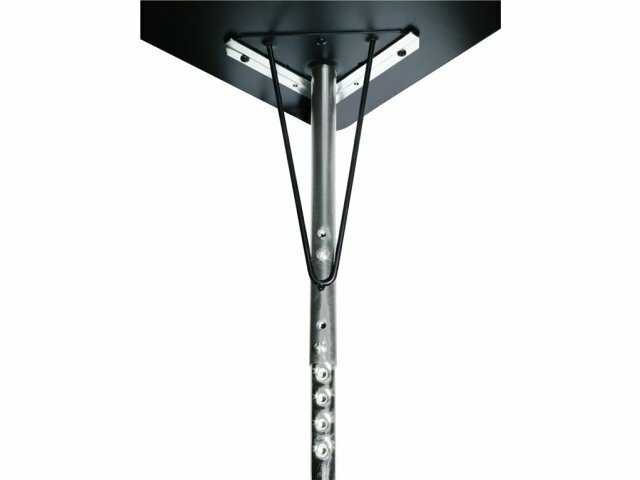 Adjustable Height: Height can be modified in 1” increments to suit students of different sizes and ages. 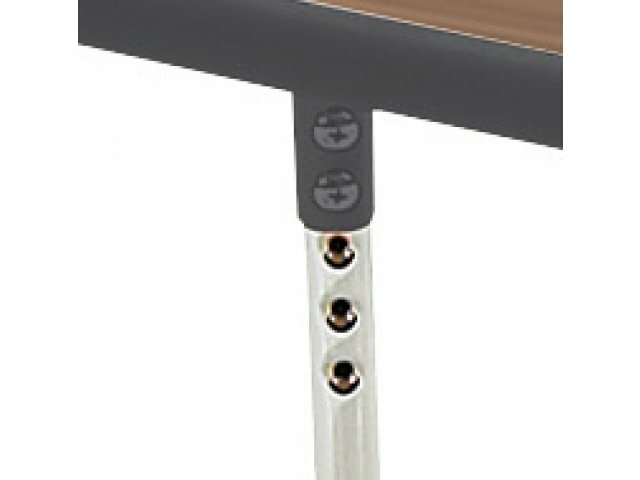 Strong: Legs have a tapered design, with open hairpin brace for extra strength.